Always a fail safe for the British weather... a trench coat. The trench coat was created as a means to keep mud off the uniforms worn in the trenches of WW1 - mostly must I add by the Officers. This would explain the epaulettes which we identify with the trench coat as they would have originally have been used to signify and to display ones rank. The trench coat has gone on to signify strong women esecpially in films such as A Woman Of Affairs and The Iron Petticoat. 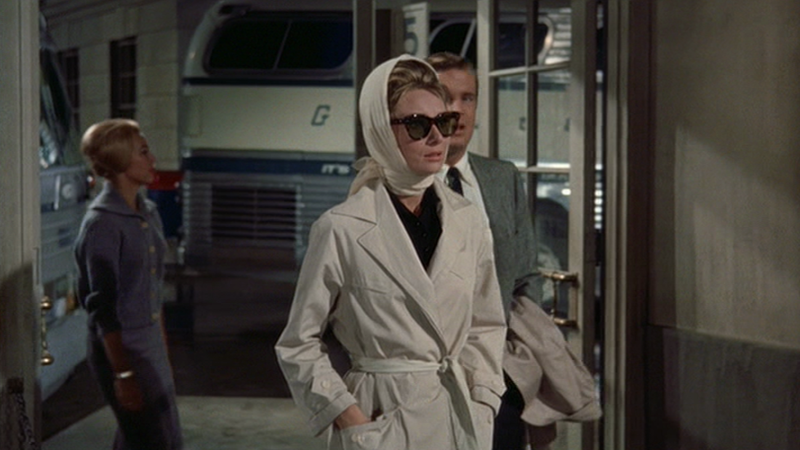 Further in time to Audrey Hepbrns' use of it for Holly Golighlty in Breakfast At Tiffanys - where it stops being a masculine statement and is in fact totally feminized by Audrey Hepburn - either way mascuijne or feminine the trench coat is a diverse garment that transeeds stereotypical sexualities to be something that is pure class. Below are a section of trench coats on the market today and which show the diversity of how the humble trench coat has involved. Including the amazing Valentino pink leather trench coat!